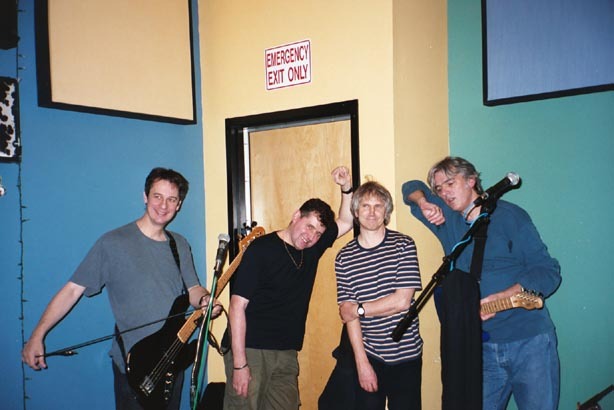 THE SOFT BOYS Live In the WFMU Studios Recorded 10/25/02, engineered by Irene Trudel No explanations needed: simply one of the greatest, most legendary bands ever, ever, EVER. Robyn Hitchcock, Kimberley Rew, Matthew Seligman, and Morris Windsor reunited last year and Matador Records has just released Nexdoorland, their first album in 20 years. Today's amazing session recorded while in town for their shows at the Bowery Ballroom and Maxwells. We're completely blown away about their WFMU visit!